Throughout history, refugee movements have been a tragic consequence of war. These social upheavals have usually been sudden and overwhelming, uprooting entire communities, in contrast to other mass migrations, including recent climate refugee movements. In the industrial era, as the scale and intensity of warfare have increased, the human costs of these tragedies have been accompanied by severe environmental consequences. These costs tend to fall beyond the limits of both military studies and environmental studies, but they contribute to sustained stress on land and resources long after open conflict ends. The environmental costs need to receive more serious attention. This summary proposes perspectives on the war/refugee/environment nexus, using twentieth century examples. Wartime refugee movements have resulted in environmental degradation in three areas: the locations they are forced to leave, their migratory routes, and locations where they have landed for shorter or longer times. In many cases, marginalized groups such as ethnic minorities have been particularly impacted by these perturbations. The impacts are expressed in damage to natural environments, including loss of biodiversity and disruption of water regimes, and increase of pollution and waste disposal problems. 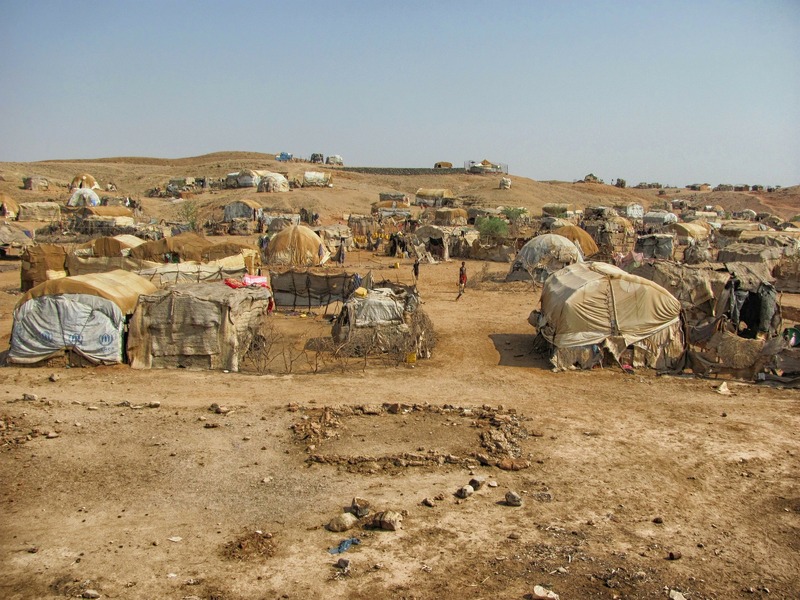 The lands refugees have left (and in some cases returned to) experienced chaotic collapses of land tenure systems and land use, which help to determine long-term environmental consequences. The history of international refugee aid agencies provides perspective on refugee movements, but their vast archives and studies about them give only tantalizing indications of environmental disruptions. “A global refugee regime, comprising a formal international organization for refugees, legal conventions, and an international structure to care for the displaced, only began to emerge in the aftermath of the First World War.” World War I produced chaotic flows of refugees, primarily in Russia, the Middle East and Armenia, as the Russian, Austro-Hungarian and Ottoman Empires collapsed in the carnage. But their environmental dimensions remain to be reviewed in depth. Turning to World War II, the environmental disruptions of the massive refugee movements that covered central and eastern Europe have not yet been considered systematically either, though glimpses appear in two new collections. We have a somewhat clearer understanding of the environmental impacts of certain refugee floods in Asia. In China the war created many millions of refugees through twelve chaotic years. When Japanese forces spread across the critically important food producing rice terraces of Henan Province in the plains of the Yellow River in the summer of 1938, the Nationalist Kuomintang (KMT) army blasted the great river’s dikes, flooding 30% of the region in order to impede the enemy. Many farmers drowned; fifteen million more, nearly half the province’s population, were displaced. Many struggled westward into higher land in the Huanglongshan mountains of Shaanxi Province. In that region of steep slopes and fragile ecological equilibrium, terraced agriculture achieved by forest clearance had spread for several centuries, until civil wars in the 1860s largely depopulated the region. Thereafter the deserted areas returned to secondary succession vegetation and gradual collapse of terraces, resulting in widespread soil erosion. Straggling into Shaanxi, the refugees found the Kuomintang (Nationalist) army desperate to increase food production. The KMT sent new arrivals to the Huanglongshan mountains, to reclaim the abandoned land, clearing secondary forest to grow rice again. The situation was exacerbated by the arrival of a second wave of refugees from the eastern lowlands, victims of a great famine in 1942-43. By 1945 portions of the hills were repopulated, but at the cost of widespread deforestation and soil erosion. Meanwhile in lowland Henan the flood waters remained in place for as much as a decade. In the aftermath of the Japanese retreat in 1945, that critically important rice region was gradually rehabilitated as its people returned to their homeland and repaired the massive environmental damage of wartime. The Chinese Communists’ work in Henan contributed to their ultimate success in occupying Beijing in 1949. Farther south the efforts of the Western Allies to stop the advance of Japan through Southeast Asia toward British India centered on the forested eastern Himalayas of northeastern Assam and northern Burma, home of many tribal communities, and the more heavily populated agricultural and urban population dominated by ethnic Burmese Buddhists in Lower Burma. The Japanese advance into Lower Burma in early 1942 created a mass refugee movement fleeing from Rangoon and the southern region. Many struggled along the Arakan coast to eastern Bengal. In the process, that coastal lowland and adjacent chain of hills, now named Rakhine District of Myanmar, underwent severe displacement of its Muslim population, the Rohingyas, as an early chapter of the refugee crisis that is culminating today. Some settled in Dacca and Calcutta, where they intensified urban environmental stress including severe water supply disruptions and waste pollution. Others turned northward into the Chittagong hills, where they carved survival settlements out of the forests, competing with local hill cultures. The largest refugee masses from Lower Burma fled northward into the hill region along the border with Assam. Hundreds of thousands struggled across the tribal zone of the monsoon-flooded Hukawng Valley, carving new routes where none had existed before, and leaving masses of abandoned goods. Those who survived the trek into British-defended Assam settled in sparsely populated hill forests, cumulatively stressing that fragile ecosystem as well. An ecologist’s report fifty years later reported that the Hukawng forest had largely recovered, but junk still littered the refugees’ routes, and tracks for subsequent forest clearance and wildlife reduction had been established. Thereafter, the wartime disruptions led to the Partition of British India and the creation of Pakistan in 1947, when neo-wartime conditions created an exchange of some 15 million refugees between the new countries, and trends begun in World War II intensified. Refugees, mostly Hindu, fled newborn East Pakistan (which became Bangladesh in 1970), flooding into urban areas of West Bengal, especially Calcutta, since little rural lowland was available for new settlement. Others scrambled northward into the Chittagong hills and beyond. The environmental history of Partition is still to be studied, more than just implied. Emmanuel Kreike has located the ecological impacts of these wartime displacements in fragile settings, describing “environmental changes caused by forced population movements and the terror-inspired disinvestment of human labor from the creation and maintenance of rural infrastructure (wells, water holes, farms, fields, fences, fruit trees) and food production …” Farms and rural villages turned into “deserted bush-encroached ‘wilderness,” and towns’ resources were stretched to the limit by the influx of refugees. In the Namibia-Angola border region disruption fanned out from military bases. Most fighting was during the rainy season — the cropping season — disrupting subsistence food production. Anti-guerrilla strikes mostly hit civilians. Bulldozers removed vegetation; heavy fences and land mines crossed sandy soils, removing farms and brush (including wildlife). Displaced people landed in the floodplain of Namibia’s fragile Ovamboland marshes. Farther east along the South Africa-Mozambique borderlands, Mozambique gained independence in 1975, but a civil war lasted until 1992. A resistance movement supported by South Africa launched a scorched-earth war of terror against populations sympathetic with the new government and its ally, the African National Congress. Much fighting centered in national parks on both sides of the border. Resistance fighters lived off the land, terrorizing villagers. In response the government concentrated rural populations in fortified villages, backed by the army and militias. “Thus the rural populations became not only the object and target of the war, but also the principal weapon of war, as farms, food and seed stocks, animals, crops, and fruit trees were pillaged and destroyed.” Many communal villages were deserted, and bush encroachment let tsetse fly infestations spread. After the Soviet army invaded Afghanistan in 1979 to support the Communist regime that had overthrown the king a year before, a decade’s fighting between the occupying Soviets and Afghan resistance produced a mass emigration into Iran in the west, and 3,500,000 Afghans fled into Pakistan in the east. Geographer Nigel Allan studied the intense ecological impacts of the Afghan refugees in northern Pakistan by the mid-1980s. Leaving mountain environments in eastern Afghanistan, where they had ancestral skills of pasturing, farming and hunting, they moved to various niches in northern Pakistan, where their agro-ecological knowledge sometimes fit their new surroundings effectively, and sometimes not. Many settled in Pakistan’s adjacent North West Frontier Province (NWFP). Where the match was poor, the environmental damage was more severe. In all cases the newly concentrated population placed unprecedented and unmanaged pressure on the alpine forests. Some areas were entirely denuded. Some Afghans ultimately returned home, but continued fighting after the Soviets left in 1989 kept many in Pakistan. These cases indicate that over the past century, as entire civilian populations became engulfed in war and their noncombatant status was increasingly ignored, refugees from a wide range of conflicts became the victimized agents of widening environmental degradation. Many Cold War era civil wars and insurgencies (almost invariably intensified by foreign powers and the international arms trade) invite similar environmental analysis. The human drama of wartime population dislocations has largely overshadowed their underlying environmental costs. But the enormous dislocations of refugees under modern warfare have had correspondingly great and complex ecological costs. In many cases these are partially reversible, if military and political conditions permit. The immediate impact of mass violence has not been the end of the story, since both natural and social systems have the capacity to repair damage. But in all cases, the environmental degradation that accompanies these upheavals has contributed to the degradation of the biosphere. 1. Alexander Betts, Protection by Persuasion: International Cooperation in the Refugee Regime (Cornell University Press, 2009), p. 8. 2. Richard P. Tucker, Martin Schmid, John R. McNeill and Tait Keller, eds., Global Environmental Dimensions of World War I (Cambridge University Press, 2018). 3. Simo Laakkonen, Richard P. Tucker, and Timo Vuorisalo, eds., The Long Shadows: A Global Environmental History of World War II (Oregon State University Press, 2016); Simo Laakkonen, J. R. McNeill, Richard P. Tucker, and Timo Vuorisalo, eds., The Resilient City in World War II: Urban Environmental Histories (Palgrave Macmillan, forthcoming, 2019). 4. Micah S. Muscolino, The Ecology of War in China: Henan Province, the Yellow River, and Beyond, 1938-1950 (Cambridge University Press, 2015). 5. Richard P. Tucker, “Environmental Scars in Northeastern India and Burma,” in Laakkonen, Long Shadows, 117-34. 6. Emmanuel Kreike, “War and the Environmental Effects of Displacement in Southern Africa (1970s-1990s),” in William G. Moseley and B. Ikubolajeh Logan, eds., African Environment and Development (Ashgate, 2004), 90. Also Emmanuel Kreike, Recreating Eden: Land Use, Environment, and Society in Southern Angola and Northern Namibia (Heinemann, 2004). 8. Nigel J. R. Allan, “The Impact of Afghan Refugees on the Vegetation Resources of Pakistan’s Hindukush-Himalaya,” Mountain Research and Development 7:3 (August, 1987), 200-204.